With St. Patrick's Day approaching, I thought I'd post a recipe for Bailey's Irish Cream Truffles. The other day I posted a recipe for Bailey's Irish Cream Fudge. Both recipes are good and easy, so take your choice. As I mentioned, great recipes are sometimes found in unusual places. The Fudge recipe and the one below for Bailey's Irish Cream Truffles have been adapted from Fantasy-Ireland.com, a travel website. I use Kerrygold sweet butter in much of my baking, so I thought I might mention this Irish butter here. 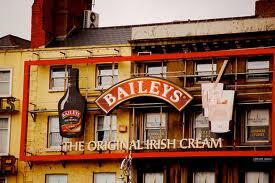 It is imported from Ireland, and can be found in many supermarkets and specialty stores throughout the U.S. The flavor is exceptional. There will be a Kerrygold whipped butter out this Spring. Delicious, but not for baking. Use 'regular' butter, not whipped butter for baking. Bailey's comes in different 'flavors', and using different ones in your truffle batches will give you a lot of variety: Mint Bailey's Irish Cream; Coffee Irish Cream; or Creme Caramel Irish Cream. These Bailey's Irish Cream Truffles are simple to make and great for St. Patrick's Day or any day! 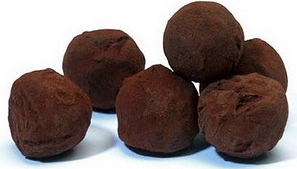 Just an FYI: Bailey's markets its own Truffles, so if you don't have time, pick up a box. 1. Melt chocolate, Baileys and heavy cream together over very low heat. 2. Whisk in yolks, one at a time; mixture will thicken. Whisk in butter. 3. Refrigerate overnight, or until firm. Fantastic! I love Baileys and homemade truffles. So excited to try this! About how many truffles does the recipe make?